Wires are so boring and out of fashion! But sometimes we just cannot avoid them! Computer PCs have been replaced by semi-portable laptops and Laptops have been replaced by portable tablets! Not only is the screen getting smaller but also the requirement to plug into a socket in order to charge the device! What once ran on electricity, now runs on batteries! However, with so much advancement in technology, we were compelled to use the same old speakers for unexpected parties! Not anymore! 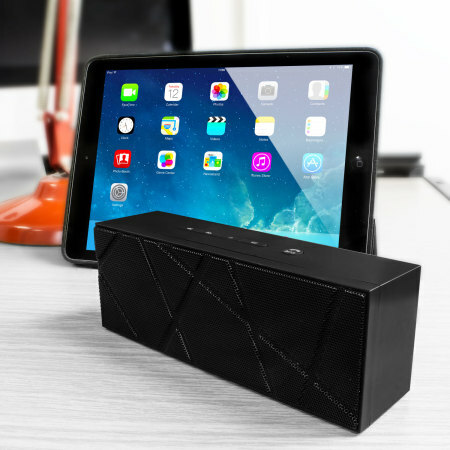 The stylish BoomBrick Wireless Bluetooth Speaker have changed the whole scenario at once! Without the requirement to plug into a socket for electricity or attach it to a laptop or PC in order to play an installed playlist, the smart speaker is one of the most desirable holiday gifts for people of all age groups! The BoomBrick Wireless Bluetooth Speaker come with a wide range of stunning features you simply cannot say no to. And if you are still wondering why you must buy the speaker, then here is a list of features for you. What is a turn off at a party? A low poor quality speaker that cannot manage to play the music for the entire room. Crowd loves loud music and the BoomBricks Wireless Bluetooth Speaker is aware of it. The disadvantage of miniature speakers is that they are incapable of producing sound loud enough to fill the room. But not anymore! The Wireless speakers produce a rather crisp, clear and loud sound with a pair of powerful 3W drivers, giving a total output of 6W. BoomBrick speaker also manages to give high definition and superior quality sound which is rather quite rare to get into portable and travel-friendly speakers! Tiny things are always attractive, especially because they are portable and can be carried while traveling. BoomBrick speakers are compact, stylish and wireless. No need to carry those huge speakers with endlessly long wires anymore. Being compact, the speakers can be easily squeezed into your luggage or even daily handbags for you to experience amazing music anytime, anywhere. Ever since the feature of Bluetooth has come into existence, the life of an ordinary person has become immensely easy! With just a click, one can transfer files and other docs from one Bluetooth device to another! You can use this speakers with Smartphone, Tablet, Windows PC, Apple Macbook and devices which supports Bluetooth connectivity. I got this recently from Gearzap and it is one of the best addition to my MacBook Accessories. 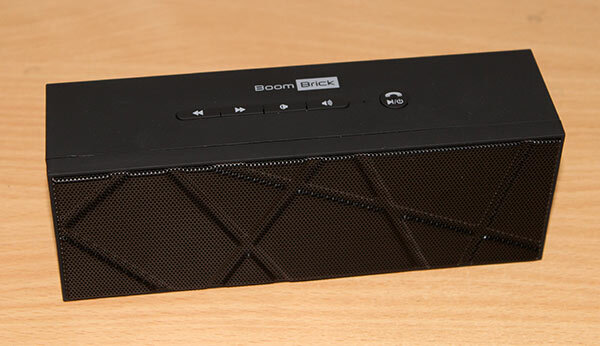 BoomBricks Wireless Bluetooth Speaker avails Bluetooth facility. And for user’s convenience, no lengthy passwords or endless procedures are required while pairing the speaker to any other Bluetooth device. With just a single click, the speaker gets paired with your Bluetooth device conveniently! BoomBrick doesn’t limit the speaker in any possible way! The device has a built-in microphone which allows its users to attend phone calls. Of course pairing it with your Bluetooth handset device is necessary before you can take advantage of this feature! You can attend to your phone calls handsfree with the BoomBricks Wireless Bluetooth Speaker. Also, you can attend to other conference calls, anywhere and at any given time! The stunning Black exceptionally stylish Bluetooth and Wireless Speakers designed by BoomBrick is as amazing as the features it lists. Without a single doubt the speaker packs all these features within itself and delivers truly excellent performance whatsoever. While the charging time of the speaker for its 1200 mAh battery is 3 hours only, the speaker can actively play for as long as 8 hours! The device comes along with a 12 month warranty and is available for £29.99 only. The speakers are highly desirable for its features which include wireless, enables Bluetooth, allows hands free calls and HD audio, but it is also widely liked for its stunning looks and elegant edges! That’s not all, the performance of the BoomBrick Wireless Bluetooth Speaker is truly incredible and worth every single penny.